Here are the selective and important Compound interest questions and answers for banks exam and SSC. 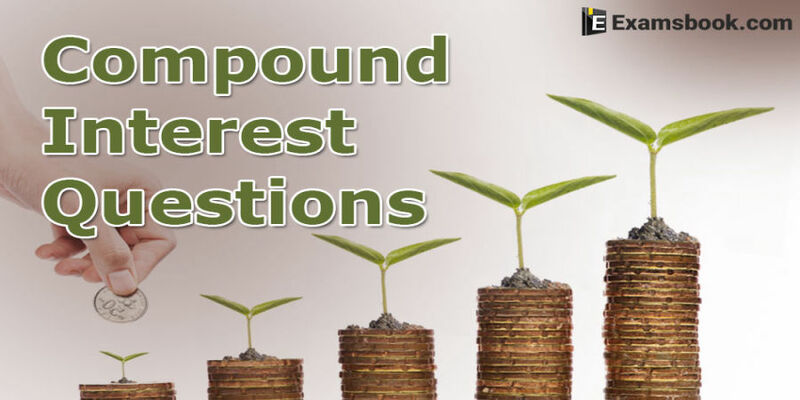 These Compound interest questions have been asked in competitive exams and there are chances to ask again in other competitive exams. Practice with Compound interest questions and answers for better results in exams. Try to solve Compound interest questions yourself with the help of answers and check your performance. All the best. Compound interest questions in Hindi. 1. What is the difference between the compound interests on Rs. 5000 for years at 4% per annum compounded yearly and half-yearly? 8. What annual payment will discharge a debt of Rs. 1025 due in 2 years at the rate of 5% compound interest?